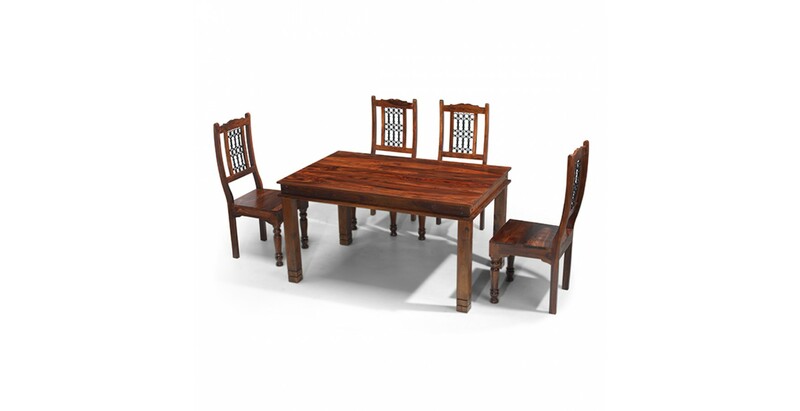 Combining sophisticated colonial style and sleek-lined contemporary practicality, this naturally warm and beautiful handcrafted table will be the ideal choice for your dining room or kitchen. 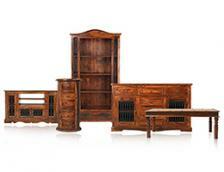 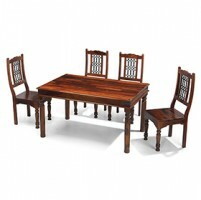 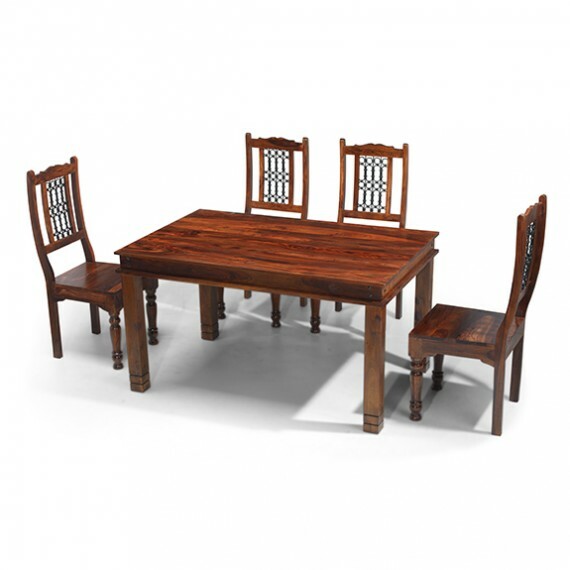 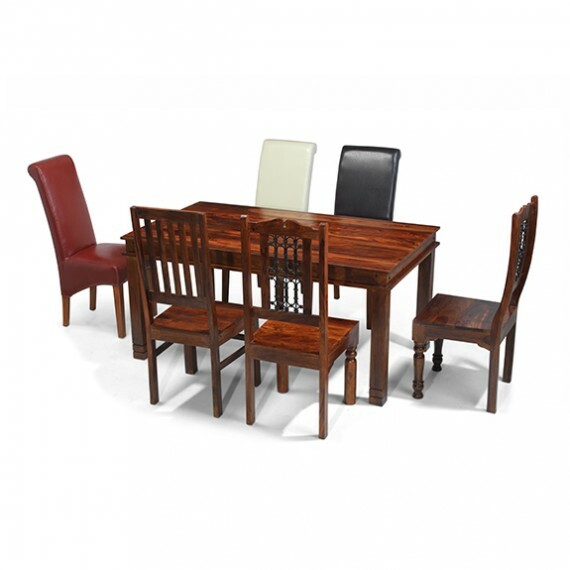 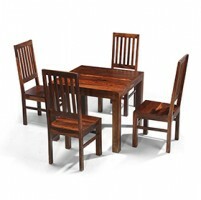 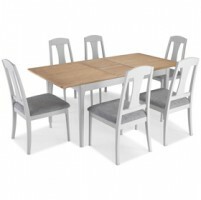 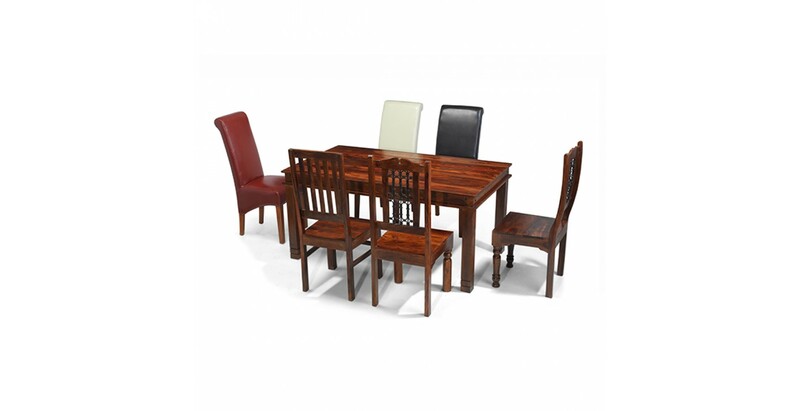 Perfectly sized for everyday family dining, its dark tones and unique grain are highlighted and protected by the Wax Lacquer Finish, and the iron studding and carved detailing on the square legs add further visual interest. 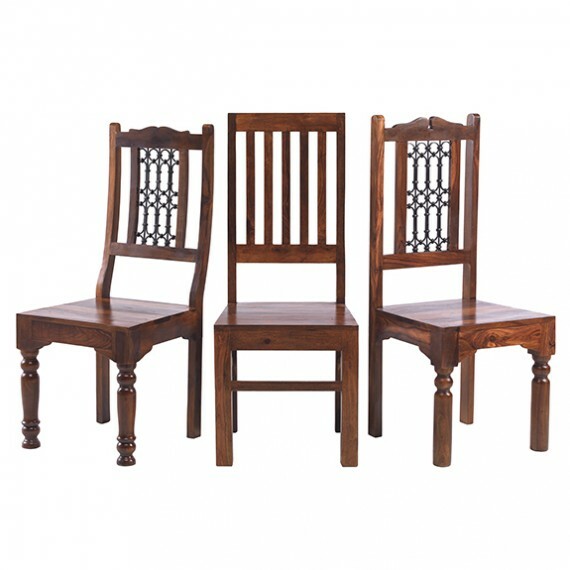 And when it comes to chairs to accompany it, we've spoilt you for choice with no fewer than six designs to decide between. 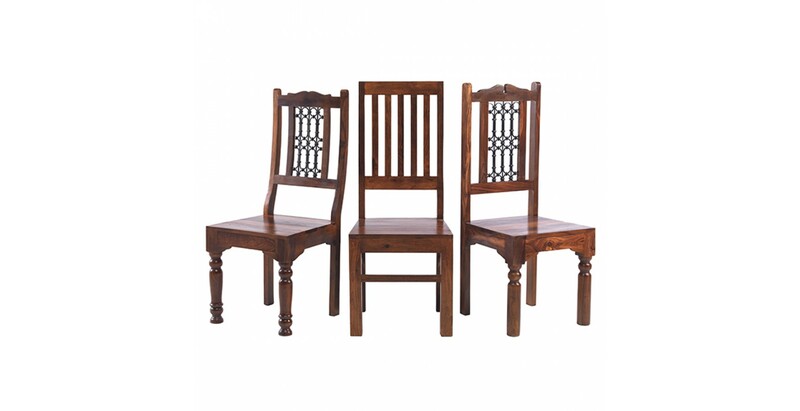 Our solid wood Jali High Back Slat chairs or either our Jali High Back or Jali Low Back Ironwork chairs if you want to keep things traditional. 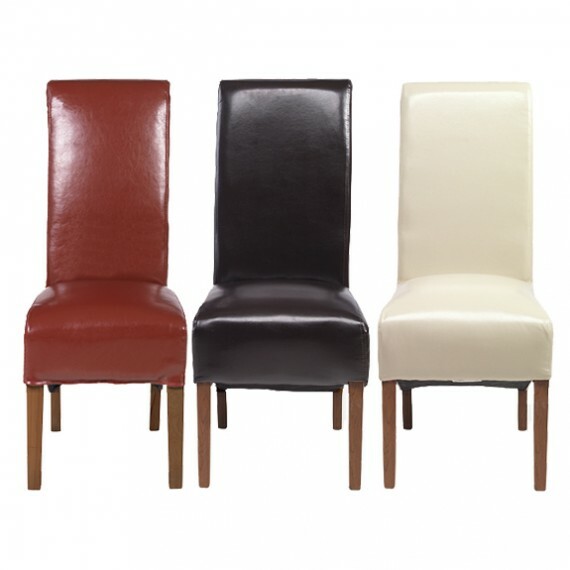 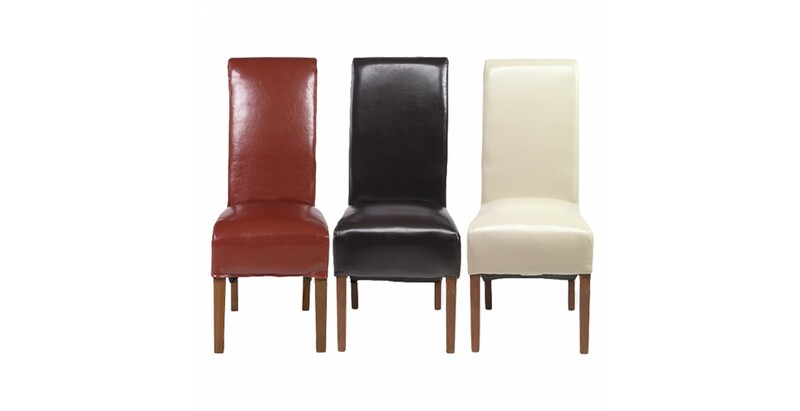 Or to add contrast and luxurious comfort, opt for our bonded leather chairs in brown, red or beige.